After traditional school hours, students have the opportunity to participate in additional enrichment classes held one day per week for a six-week session through the Jr J-Zone classes. Students develop life skills involving measurement math, learn the do’s and don’ts in food preparation and safety, and develop healthy eating habits with a hands-on approach to cooking and baking. Students learn the beginning concepts of a variety of sports to improve their gross motor skills while learning the value of teamwork and sportsmanship. 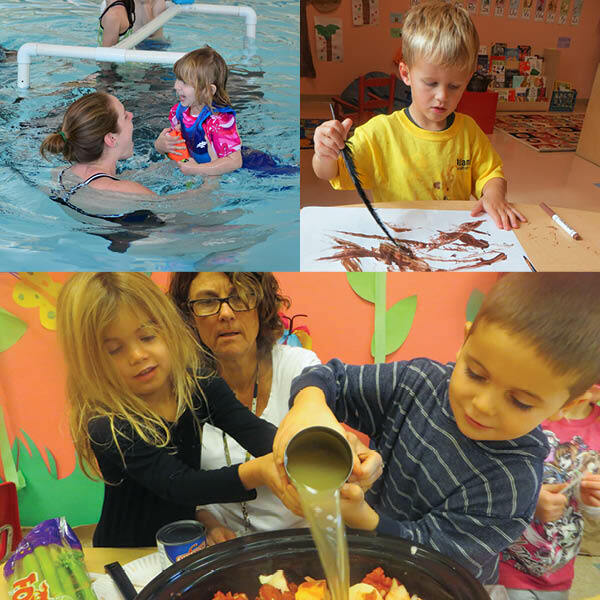 The JCC after school enrichment program will now offer swim lessons. Staff members prepare children for the lesson and drop them off and pick them up from the pool. It is a great opportunity for students to maximize their time at the JCC and learn life saving water safety skills. Click Here to learn more about Swim Lessons at the J.